Want to be the life of the party? We can teach you the moves that will make you the envy of all your friends! 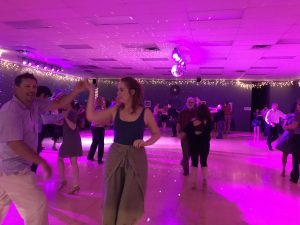 Whether you’re a couple wanting to improve your dancing together, or a single person looking to meet new friends, we can elevate your dance skills to a whole new level. Two left feet are no match for our brilliant and talented instructors! Put those feet in their hands and you’ll never have to feel like a wallflower again! 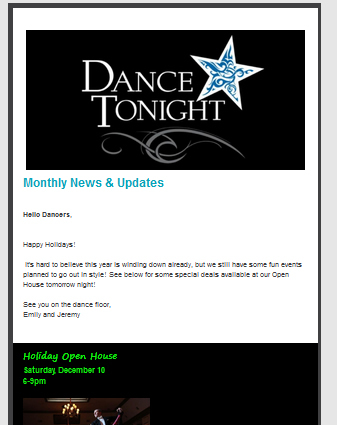 To schedule your first lesson, click on our Getting Started page and begin your journey to better dancing! While you’re there, be sure to check out our Intro Package, exclusively for new students to Dance Tonight, regardless of your previous dance experience! Don’t forget to sign up for our newsletter, (on the right side of this page) so you’ll get all the news about our upcoming events!